Then all of a sudden, all the Obamao iconography disappeared. What gives? I think China's media got tapped. nicely done! no joke, I am impressed. 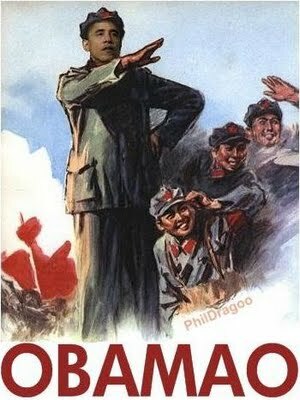 it's too bad rofl doesn't have mao in or obama in it's spelling. One of my friends and I make these up. lMaObama: I like it. now to post on twitter and trend.